Where do I start with this cuteness? I was so honored to capture a branding photography session for Jen of Wandering Whisk Bakeshop. Not only is she one of the most adorable gals...ever...but she also creates some AH-mazing sweets. (My favorite are her dream bars, hands down) BUT, let's get back to Jen and her business. "Wandering Whisk Bakeshop is a whimsical home bakery in sunny Florida, serving the Tampa Bay area. We specialize in custom-made sweets from scratch: cakes, cupcakes, French macarons, and cookie sandwiches. Our sweets are perfect for everyday celebrations as well as birthdays, weddings, holidays, baby & bridal showers. Our buttercream frosting has been awarded as the best in St. Pete!" Jen is a television producer by day and a baker by night. (Yeah, she's a badass. A darling one.) Her passion for baking started in her family kitchen as a child; she hails from generations of family bakers who continue to influence her still today. It all began with a sweet tooth, and her love of baking grew from there. 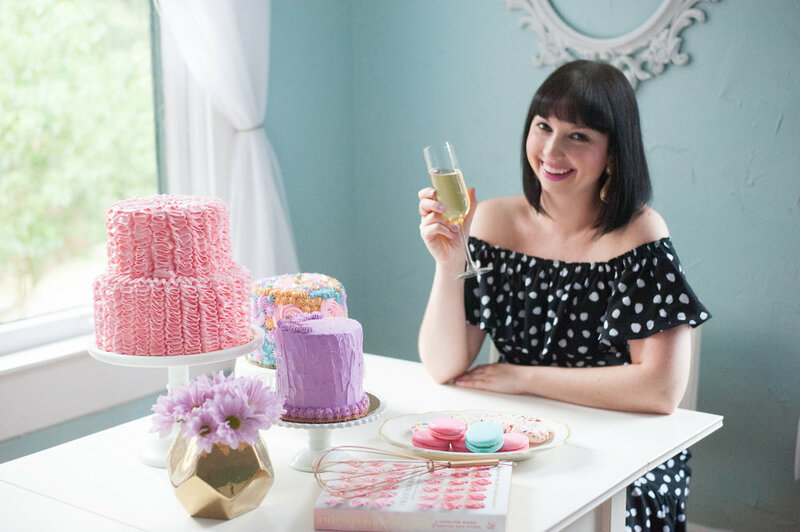 Check out her in-home session featuring some of her famous confections and of course, Jen herself!